Do you want to experience the amazing sunrise or sunset on the top of the beautiful white sand dune? 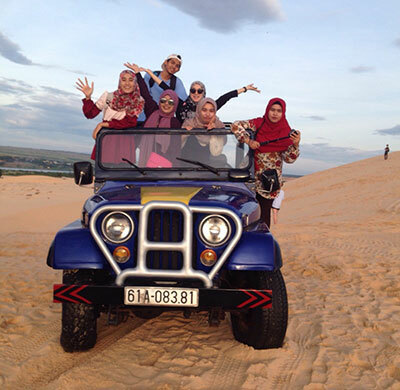 Then book a Jeep Sand Dune Tour with us! 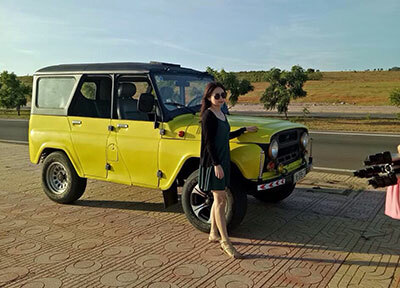 For the sunrise tour, you will be picked up from your hotel and then off you go to see the stunning white sand dunes with the picturesque Lotus lake on the bottom of it. 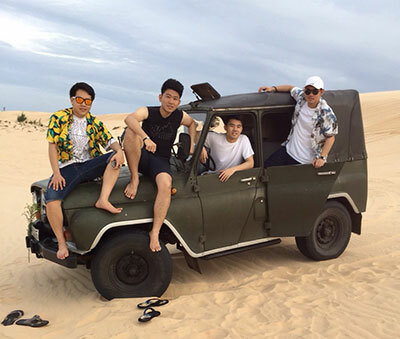 After you climb up the sand dunes to enjoy the sunrise, you will be driven to the red sand dunes where you can hire a sand slide and slide around in the dunes. Once you have enough of the sliding, you will visit the Mui Ne harbor where you can watch the fisherman at their work and get the opportunity to take some fantastic pictures of the harbour and the ocean. The last stop is at the fairy stream called Suoi Tien, where you can stroll through streams to cool your feet and enjoying the unique stone / sand structures formed around the nearby canyon. 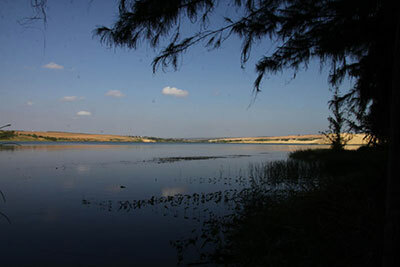 The sunset tour will visit the same spots, but in reverse order, so you finish with the sunset on the white sand dunes. Price: $25 USD per jeep (maximum 5 people) - We will charge you $10 at time of booking, then you will need to pay the balance of $15 when you are collected from your hotel before your tour. What is included: Pick up and drop off at your hotel, Jeep with a driver, approximate 4 hours tour in total. What is excluded: Any entry fees, quads at the white sand dunes, sand slide at the red sand dunes. If your group is bigger than 5 people, please contact us directly here. When you click on "Book & Pay Now" you will now be directed to PayPal, to pay a $10 deposit and the $15 balance is to be paid directly at the start of your tour.